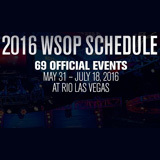 The finalized version of the WSOP Schedule 2016 has been released and features over sixty-nine events scheduled between May 31 - July 18, 2016. The 2016 WSOP Las Vegas returns to the Rio Hotel & Casino with a few changes to last year's schedule. In 2015 the live poker tournament series broke records for it's biggest attendance to date with over 100,000 registrations combined for all events. There have been some changes to the payout structure that will see a more even distribution of prize money as 50% more players will be able to cash in events in 2016. 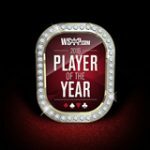 Eight new poker tournaments have been added to the schedule adding more opportunities for entrants to win a prestigious WSOP bracelet. 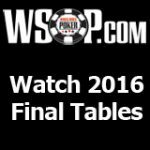 Start qualifying online by playing the WSOP Las Vegas 2016 satellites on 888 Poker which start from only 1¢. 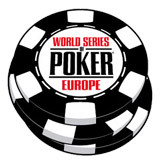 The 47th annual World Series of Poker tournament series starts from May 31, 2016 at the Rio Hotel & Casino in Las Vegas. The World Series of Poker will be televised on ESPN and the broadcast schedule will be announced shortly. 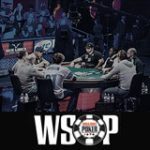 Changes to the WSOP payout structure for most events have been changed to payout 15% of the playing field, 50% more players will be able achieve WSOP cashes this year. 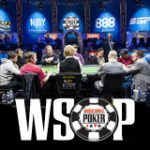 The WSOP Colossus II is back by popular demand with a $7 million guaranteed prize pool with at least a million for first place prize. 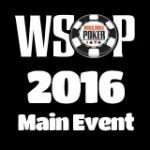 All events on the WSOP schedule 2016 with more than $10,000 buy-in will start with a stack of 50,000 chips including the 2016 WSOP Main Event. The start times of most events have also been increased by an hour from what they previously were. See below for the new dates, times, events and buy-ins on the WSOP Schedule 2016.